Newcomer Family Obituaries - William Tate 'Bill' McConnell 1941 - 2018 - Newcomer Cremations, Funerals & Receptions. William Tate McConnell, 77, of Aurora, passed away November 28, 2018. He was born April 29, 1941 in San Antonio, Texas, the son of William and Natalie (Tate) McConnell. He was a graduate of Carlisle High School. He graduated from the University of Colorado and Denver Seminary. On June 13, 1964 he married Beth McLeran, in Denver, Colorado. 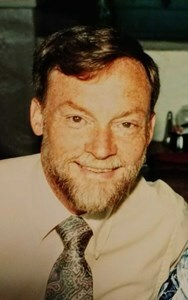 William is survived by his wife, Beth McConnell; four children, William Scott McConnell, Elizabeth Jane (Ralph) Daniels, Debora Natalia Schoen, and Steven John McConnell; grandchildren, Raymond Earl Pryor, IV and Anabelle Jane Schoen; great-grandchildren, La'Niyah and Brandon; brother, Mark (Beverly) McConnell; nephew, Mark McConnell; and niece, Nichole Simpson. He is preceded in death by his parents, William James and Natalie McConnell; and nephew, Curtis McConnell. In lieu of flowers, memorial contributions may be made to The Denver Hospice or to the Salvation Army. To share a memory of William or leave a special condolence message for his family, please click the Share Memories button above. Add your memories to the guest book of William McConnell. Bill and I had a running joke that our ministry lives were somehow connected, because where he went, I would follow - 10 years later. That pattern was broken with Colorado - I tried several times to move there, but couldn't. More importantly than geography and 'ministry', Bill continued to walk with Jesus in a way that is worth following. May his children and grandchildren follow in his footsteps. We have known Bill and Beth from their early days of involvement with InterVarsity in the early 60s at the University of New Mexico. They were assigned as IV staff on the UNM campus and when they first arrived in Albuquerque, they lived with us for awhile until they could find a place. Over the years we have enjoyed times of fellowship as God has provided opportunity, including Ken's meeting with Bill in Brazil in 1982. Bill was committed to the ministry of IV, always had a smile and blessed us with his easy going sweet personality, even during very difficult times. We are sorry to hear of Bill's passing, but know he is rejoicing with the Lord Jesus Christ, whom he served. We are sure he will be greeted with "Well done, good and faithful servant." Bill and Beth are heroes in InterVarsity Christian Fellowship, and in the eyes of the International Fellowship of Evangelical Students in Brazil (ABU). Bill spent his life serving Jesus and the university world, loving his family and modeling the Christian life.